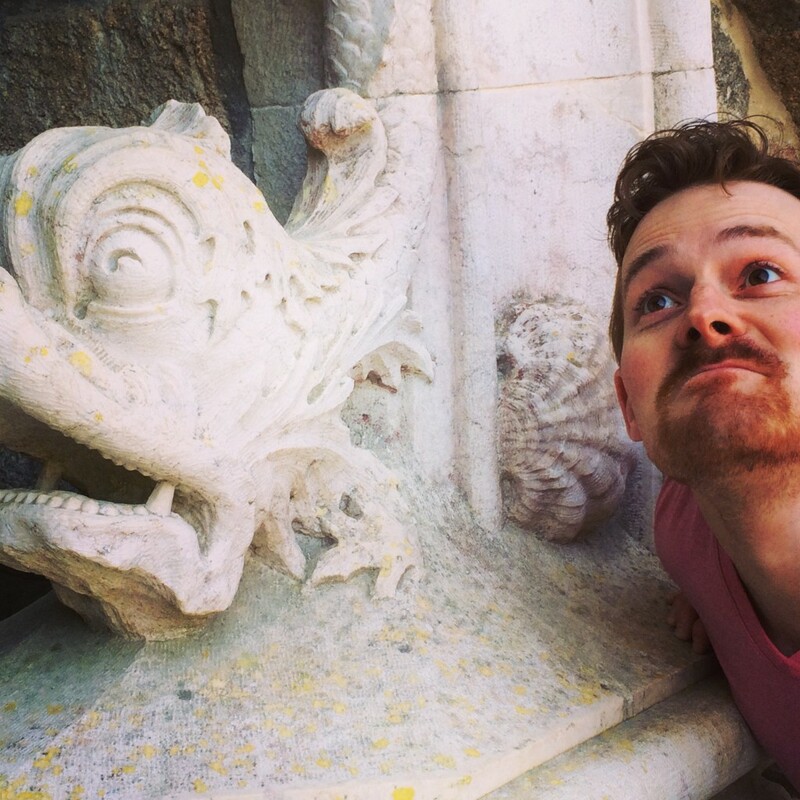 For the second leg of our Portugal trip, Al and I took the train from Santa Comba Dão back to Lisbon, and then another train from Lisbon to Sintra, a city about 20 miles outside of Lisbon, known for its beauty, quirkiness, and abundance of castles and monuments. 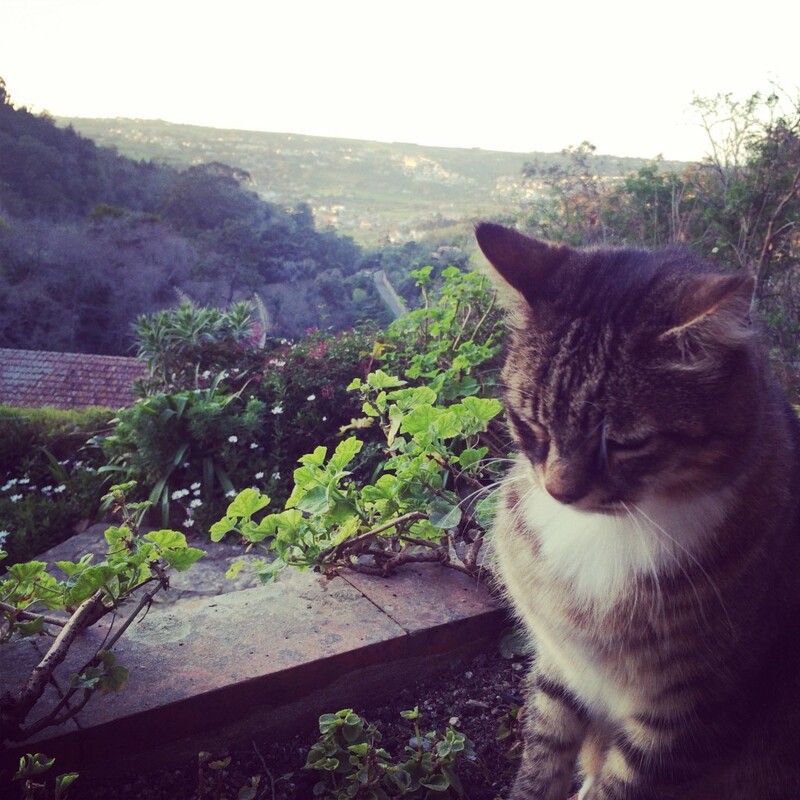 We stayed at the utterly charming Cinco Bed and Breakfast, which had great views of the city and a friendly cat named Jack. 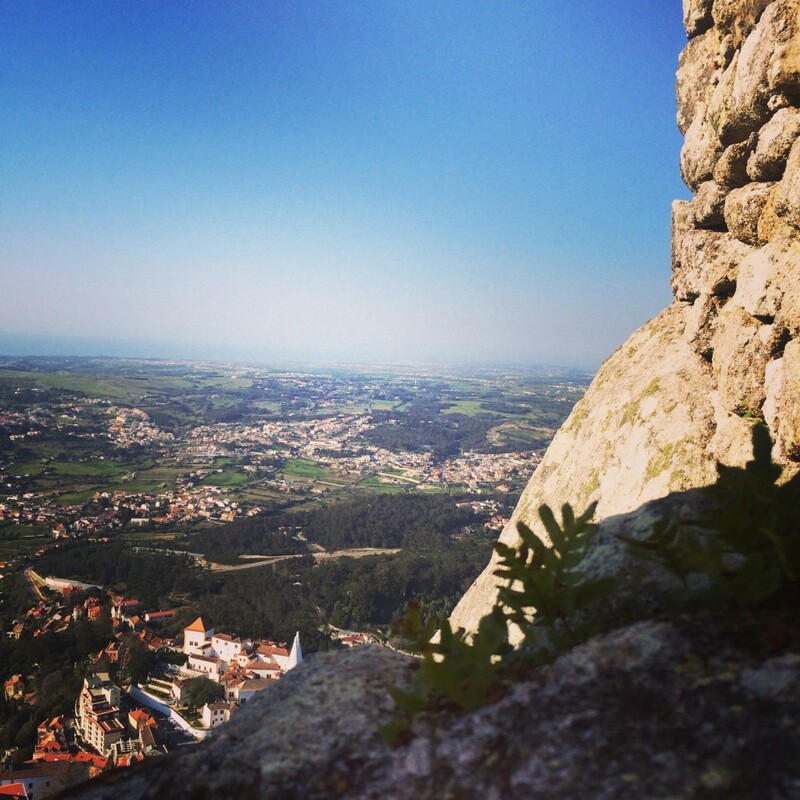 The first day, we arrived fairly late in the afternoon, hot and tired from six hours of travel, so we decided to keep it low-key and hike up a giant hill to Sintra’s Moorish Castle (Castelo dos Mouros). [About that decision — here’s the thing about me and Al: we’re constitutionally incapable of actually being low-key. We always say we’re going to “chill” and we never actually do. Even when we’re sitting on the couch, we’re both always doing something. It’s a sickness. But we are who we are, I suppose]. So, we hiked up to the Moorish Castle, which was originally constructed in the 8th-9th centuries, which is an astonishingly long time ago, if you stop and think about it. The castle has fabulous views of the city, which is lush and green and populated by all sorts of interesting looking mansions and castles. We spent some time up there, looking around and taking obnoxious selfies, then we came back down to town and did a fortified wine tasting at a local wine shop. The Portuguese call fortified wines “vinhos generosos,” and the lady pouring them for us certainly was generous. 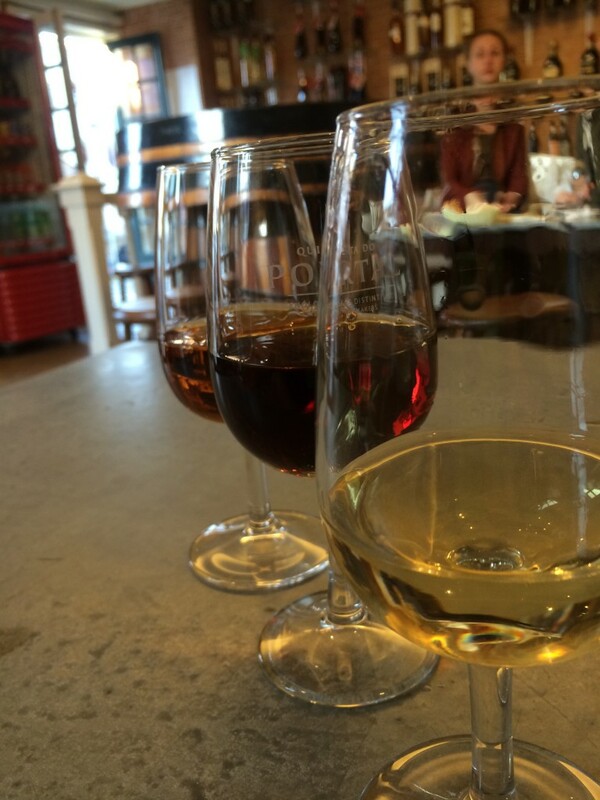 We tried madeira, port, and moscatel. My favorite was the white port, which I’d never tried before. Boozy and delicious. That’s a lot of fortified wine. Not that I’m complaining. After that, we returned to the B&B, where we had dinner (cheese, prosciuttio, bread, and wine — the usual) and watched British TV. We had both missed British crime dramas and since Sintra’s dinner scene seemed overpriced and touristy, it was much more appealing to sit on the couch, see the sunset, and watch Hercule Poirot solve some crimes than to venture out into the night. We’re old, what can I tell you? The next day, I went for a run in the morning and took photos of some of the interesting things I saw around the city, including some weird animal sculptures in the local park. 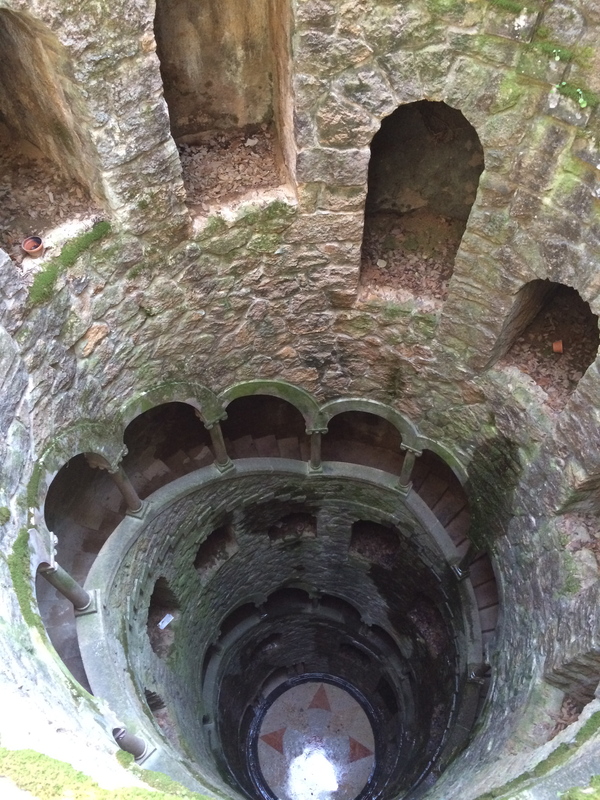 Then, Al and I went to the Quinta da Regaleira, a UNESCO World Heritage site. It’s a sprawling estate packed with unique architecture and carvings. It was refurbished in 1892 when it was owned by the Barons of Regaleira, a rich family from Porto, who hired Italian architect Luigi Manini to design the estate. 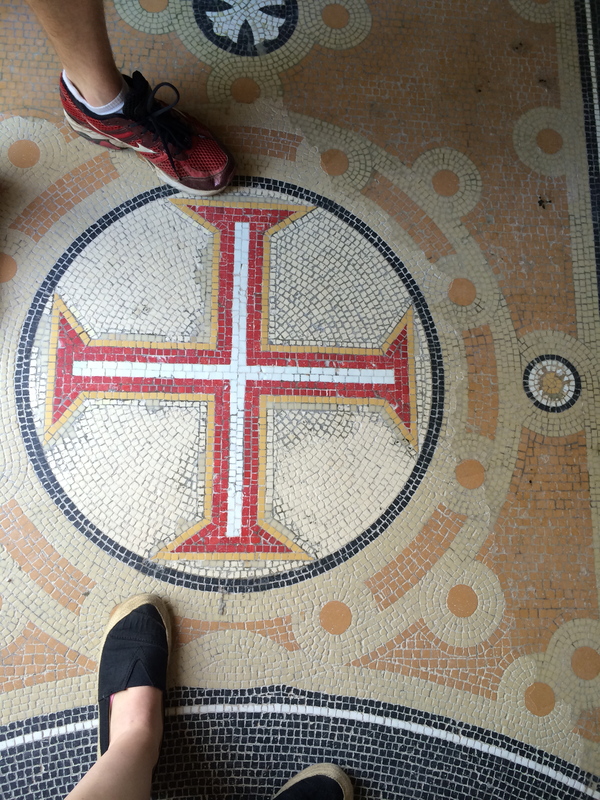 Manini was, apparently, into some weird stuff, as the Quinta da Regaleira is filled with references to the Knights Templar, Masonry, alchemy, and the Rosicrucians. 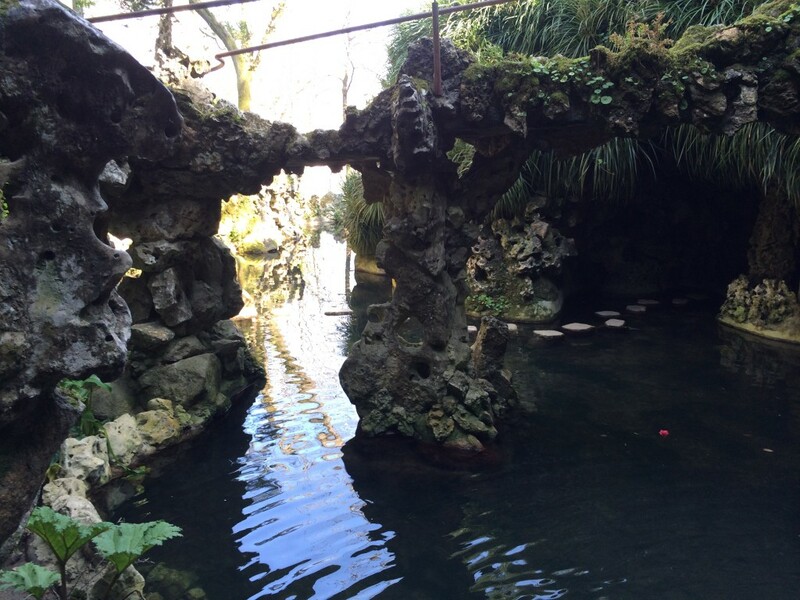 Al’s favorite part of the Quinta da Regaleira was a deep well that you could walk down, which led to a series of caves and waterfalls. We also enjoyed the fantastical animal carvings. 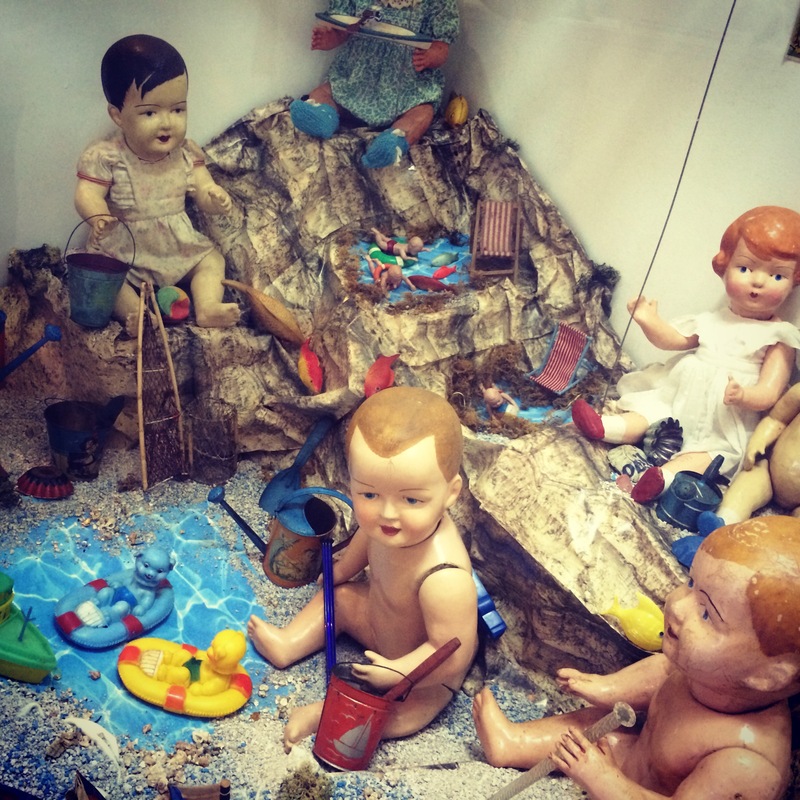 Before packing it in for the day, we stopped by the Museo dos Brinquedos (Toy Museum), which was fascinating. All the nightmarish dolls one could ever want! 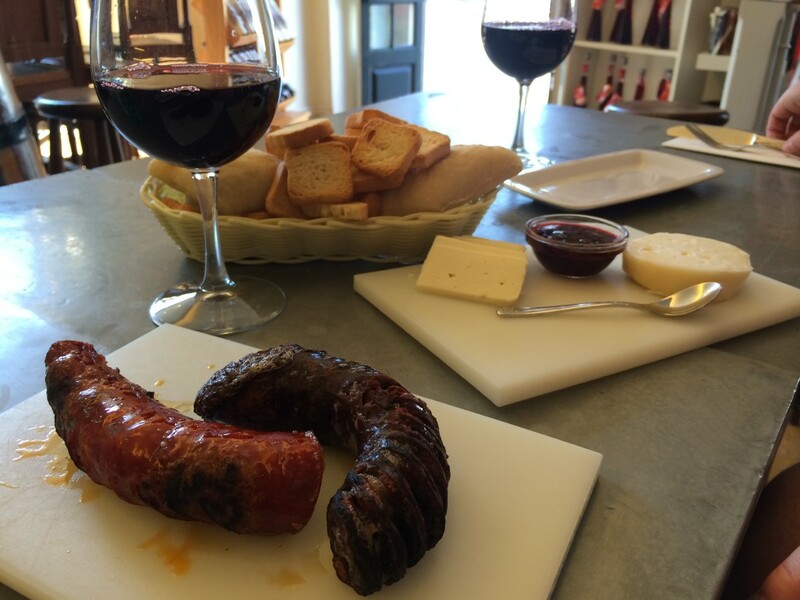 Finally, before leaving Sintra, we had to eat lunch and do one more wine tasting at that little wine shop. Then, we bid the town tchauzinho and headed back to Lisbon for the final leg of our journey. Next stop: Portugal, part three: Lisbon. 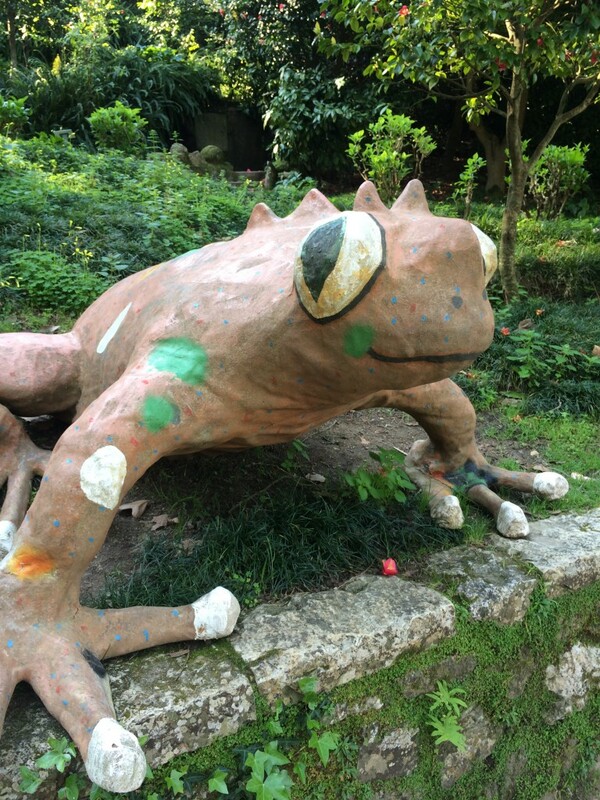 This entry was posted in Food and drink, Travel and tagged Alastair, Castelo dos Mouros, Museo dos Brinquedos, Portugal, Quinta da Regaleira, Sintra, Travel, wine on March 19, 2014 by Stephanie.